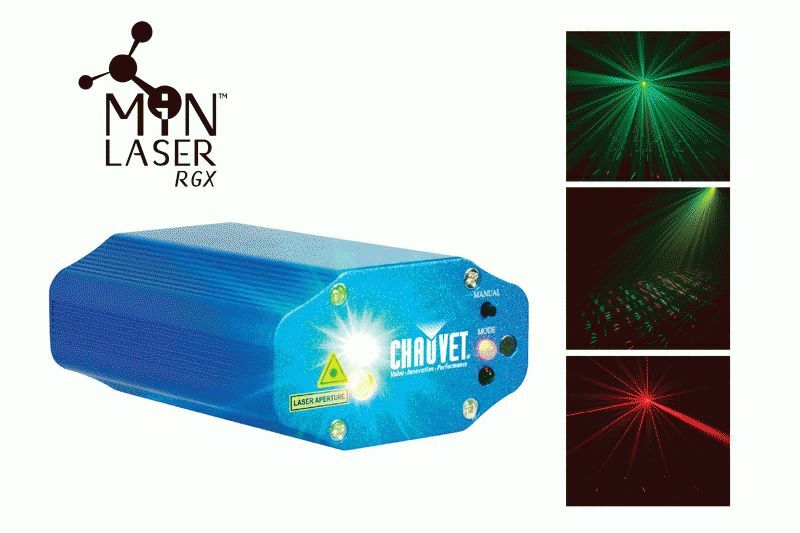 CHAUVET®, a leading manufacturer of LED lighting, announces the release of three ultra-compact, plug-and-play lasers: MiN™ Laser FX, MiN™ Laser RGX and MiN™ Laser Star. MiN™ Laser FX , MiN™ Laser RGX and MiN™ Laser Star project thousands of red and green laser beams onto any surface and cover huge areas with or without fog. These palm-sized lasers, which weigh less than one pound, can be controlled by a wireless infrared remote control and feature automated and sound-activated programs. Each laser includes two convenient mounting stands (truss or table top) and a wireless infrared remote control to make setup and operation a breeze. Ideal for the mobile DJ or home party environment, more than a dozen of these versatile, light-weight lasers can be can be easily transported from location to location in a standard backpack. 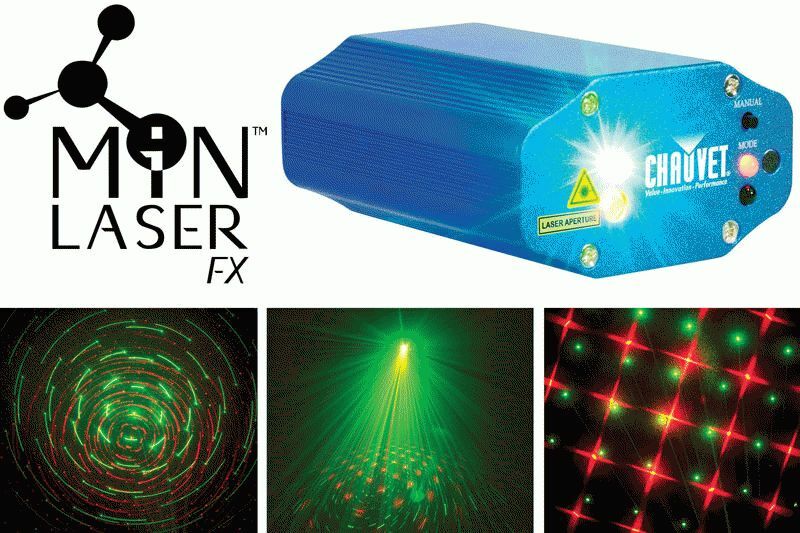 MiN™ Laser FX projects six different effects for hours of entertainment. Red and green lasers enhance the ambiance of any party by creating circles, lines, stars, dots and more. MiN™ Laser RGX projects thousands of beams covering ceilings and walls. 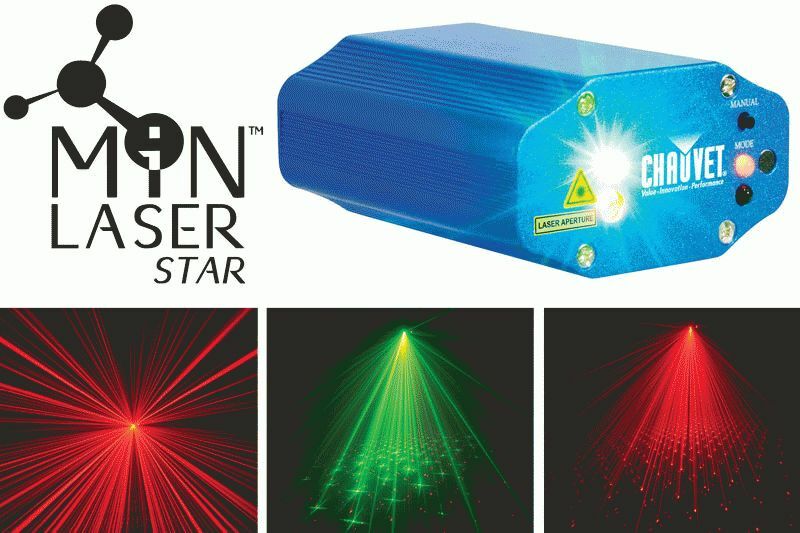 MiN™ Laser Star projects dozens of green stars and red laser beams to provide big coverage at small parties. Pair any of these lasers with a Hurricane™ Haze 2 haze machine or a Hurricane™ 700 fog machine for even more awe-inspiring effects. All of these lasers are variance free and comply with the United States Food and Drug Administration and Center for Devices and Radiological Health standards for Class 3R lasers.